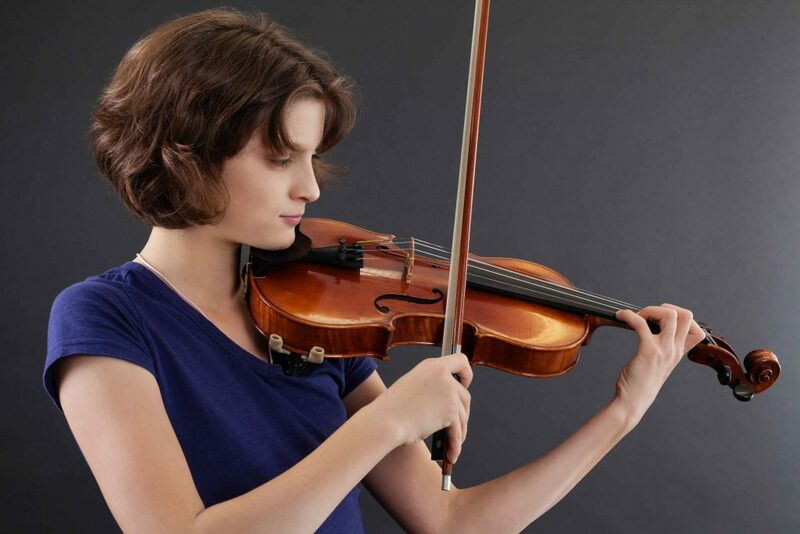 Whether you or your child are new to the violin (or viola), or a more advanced student who is trying to get to the next level, our violin lessons will help you become the best violin player you can be. We welcome very young children, teens, and adults from ages 5 to 95 to give it a try! No musical experience is needed, and anyone can learn to play violin or viola while having fun in the process. We offer violin and viola lessons for students young and old, from the absolute beginner to the advanced student. We go step-by-step through all the resources and skills you’ll need to get started on the violin or viola. This means you’ll get up to speed as fast as possible. For most of our beginner students, particularly our younger ones, we use the Suzuki violin method. They begin with learning many concepts by ear, and then play a song within the first few lessons. Beginner violin or viola students will learn everything including how to read music, correct posture, and proper control of their bow. We also teach advanced students who want to help to improve their technique, explore challenging repertoire or pass a Royal Conservatory of Music (RCM) violin or viola examination. As with all of our lessons, our most valued goal is to foster a positive relationship between student, teacher and parent. Violin lessons or viola lessons can begin for students as young as age 5, when children have keen ears and are master imitators– the perfect skills needed to learn! However, young children need parents to act as an “at-home teacher” to follow-up of the teacher’s instructions and to direct the daily practice. It is your support and encouragement that helps your child in learning to play an instrument. Violin students can also study fiddling, which is just a style of playing.